There are five die varieties for the 1877 H one twelfth of a shilling consiting of five obverse dies paired with one reverse die. There are two different sizes of the H mint mark. For each size of mint mark, there are coins with and without striations. The mintmark is a large H.
Same as type 1 but with striations. The mintmark is a small H.
The mintmark is a small H, but the H in higher position relative to the period. There is only one die. 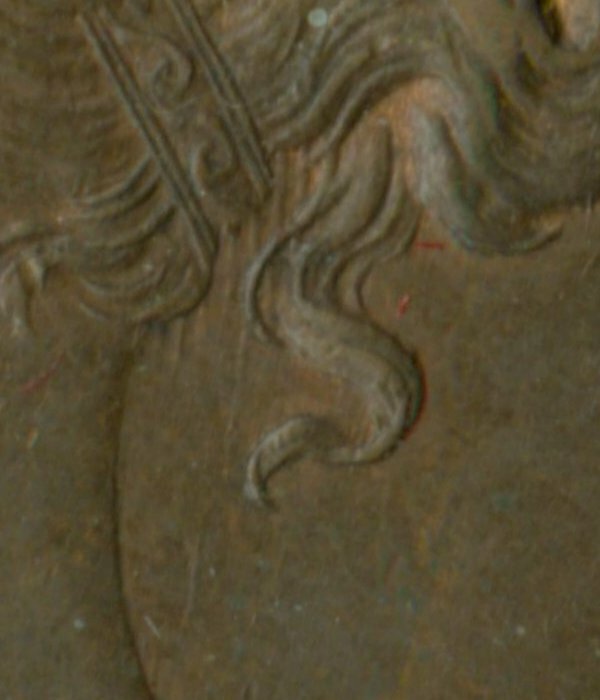 Striations are visible on some of the coins.